Semi-Ocean front, three-bedroom condo at Coastal Retreat in Kill Devil Hills - all on one level! Very cute condo with bamboo floors and deck access. Conveniently located in the heart of Kill Devil Hills at milepost 9 3/4 with easy access to the beach. Close to restaurants, shopping, and Avalon Pier for fishing! Bring the bikes for quiet secondary roads behind this condo to explore, go for ice cream, the morning paper, and just enjoy the beach lifestyle! Conveniently located on second level, access by stairway with covered parking underneath. 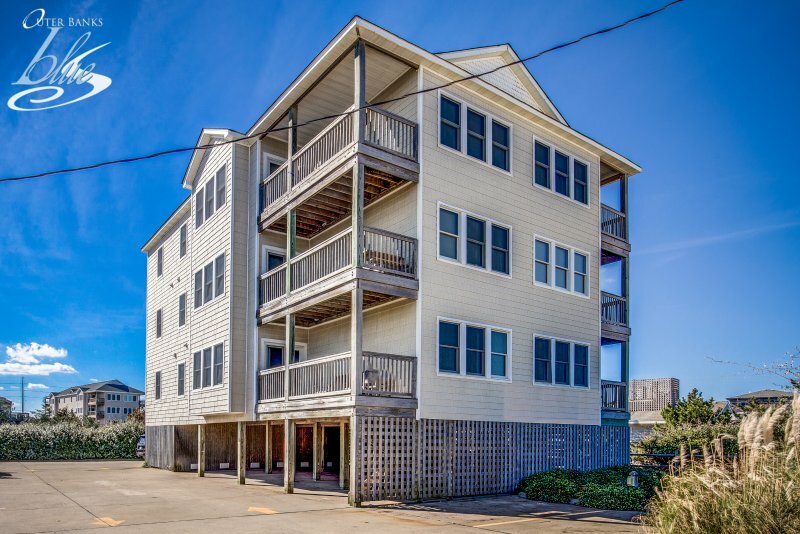 Extras: Wireless Internet Access, DVD player, No Smoking, Dogs Allowed, Milepost 9.5, Distance to the Beach: 974 ft.
Semi-Ocean front, three-bedroom condo at Coastal Retreat in Kill Devil Hills - all on one level! Very cute condo with bamboo floors and deck access. Conveniently located in the heart of Kill Devil Hills at milepost 9 3/4 with easy access to the beach. Close to restaurants, shopping, and Avalon Pier for fishing! Bring the bikes for quiet secondary roads behind this condo to explore, go for ice cream, the morning paper, and just enjoy the beach lifestyle! Conveniently located on second level, access by stairway with covered parking underneath. One Level: Great Room with Queen Sleep Sofa, Deck Access, Kitchen with Bar seats 2, Keurig Coffee Maker, Dining Table seats 6, Hall bathroom, King Master with 40” smart LCD TV, King Bedroom with 32” smart LCD TV, Bedroom with a Duo Bunk/Trundle with 30” smart LCD TV Extras: Wireless Internet Access, DVD player, No Smoking, Dogs Allowed, Milepost 9.5, Distance to the Beach: 974 ft. All Outer Banks Blue properties provide bed linens, bath towels, beds made prior to your arrival, and a starter supply of: toilet paper, bathroom soap, paper towels, and dishwater detergent. Discounted H2OBX Water Park tickets available when you book with Outer Banks Blue.